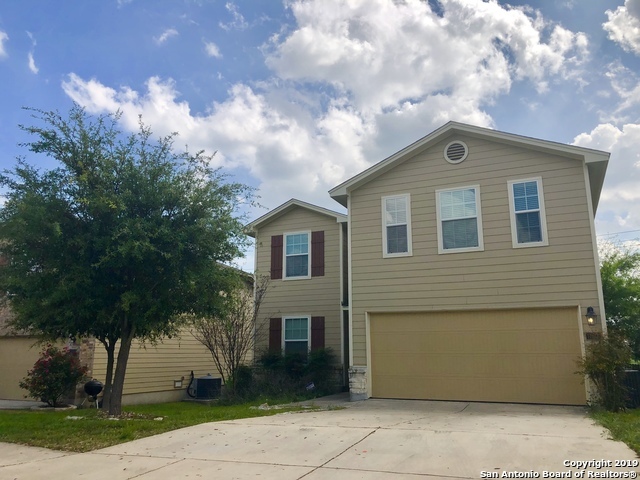 All LAUREL MOUNTAIN RANCH homes currently listed for sale in San Antonio as of 04/22/2019 are shown below. You can change the search criteria at any time by pressing the 'Change Search' button below. "Former model home full loaded, (list of upgrades in additional documents), this unique house have the best location next to the amenity center, master bedroom in first floor with luxury bath room, garage conversion original made by builder with insulation and separate A/C unit, also have other office with exterior access. Home was decorated by professional home interior designer, beautiful and unique landscape"
"BREATHTAKING LANDSCAPING WITH REMARKABLE SPACE BOTH INSIDE AND OUT. THIS HOMES ENCOMPASSED GRAND LIVING SPACE WHERE YOU CAN GATHER AROUND YOUR IMPRESSIVE KITCHEN ISLAND WHILE OVER LOOKING YOUR LIVING ROOM WITH FRIEND AND FAMILY. HOST FAMILY EVENT IN YOUR GRAND OVERSIZE CUL-DE-SAC LOT. THE HOME OFFERS 4 EXTREMELY SPACIOUS BEDROOMS, 2.5 EXQUISITE BATHROOMS HUGE GAME ROOM AND FORMAL STUDY. EASY COMMUTE TO MAJOR HIGHWAY, SHOPPING CENTER." "Beautiful 5 bedroom 3.5 bath home. Walk though beautiful entry door to step on upgraded ceramic tile that brings you to an elegant dining room with beautiful wood laminate that continues through living room, master bedroom, and upstairs loft. Stainless steel appliances . Deck with roof to enjoy a BBQ evening. Huge Master downstairs, kid headquarters upstairs with loft and all secondary bedrooms attached to Jack and Jill baths. Must see !!!! Verify Schools and home measurements"
"Fabulous,Super Clean, and Meticulously Well Cared for*Spacious floor plan has large master retreat down & 4 ample bedrooms up, w/walk-in closets & big game-room upstairs*Deluxe kitchen with SS appliances, great workspace & cabinets, access to dining room, & breakfast bar, solid counters*Enjoy natural light in family room overlooking covered patio & fenced backyard*Great location, NISD schools, ez access to highways, Lackland AFB, shopping, and much more! Don't miss super buy*Make THIS beauty you"
"Gorgeous 5 bedroom 3.5 bath home. Beautiful kitchen with upgraded granite counters and stainless steel appliances. Large master downstairs with large walk in shower. Covered back patio that is great for entertaining. Huge game room/loft upstairs with lots of room for activities. Each bedroom upstairs has their own sink connected to jack and Jill bathrooms." "Very nice home w/open floor plan & high ceilings. The kitchen has granite counters, island, and breakfast bar. Master is down w/large walk-in closet; there is also a study down w/new doors. Upstairs there are three bedrooms and a loft area. For outdoor enjoyment, there is a fantastic deck which was added in 2018, at a cost of approx. $12,000. This is a great property in nice neighborhood, priced to sell!" 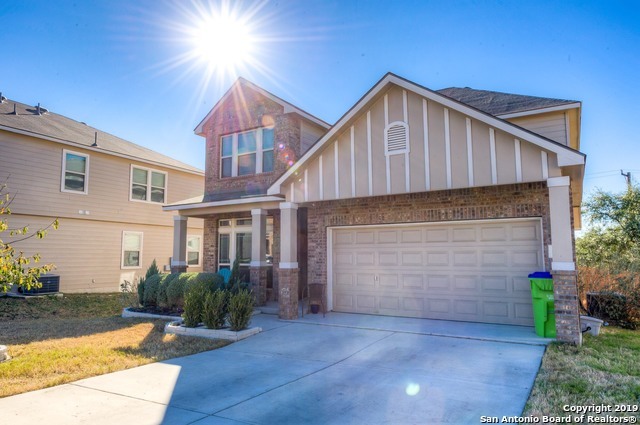 "Beautiful 4 bedroom 2.5 bath home located at the cul da sac in a great neighborhood with great schools. Home features custom paint, ceramic title and carpet in all bedrooms. This house is near 151, hwy 980 and off of 1604. Near all bases, shopping areas and restaurants. Motivated Seller." 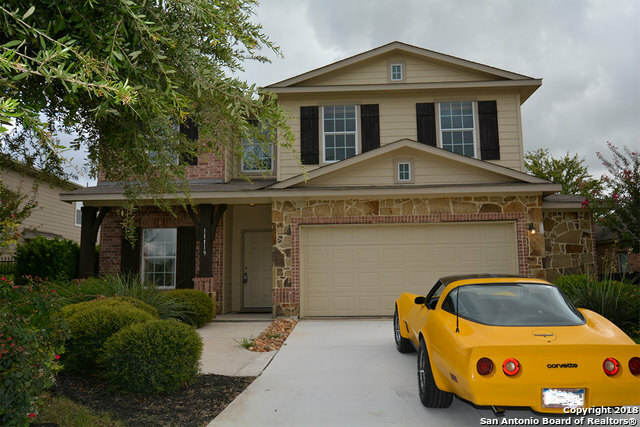 "Conveniently located off 1604 close to highway 90/151, Beautiful 4/2/2 home in Northside ISD. Walking/Biking trails, playground, pool area, Recreation center and dog park nearby, as well as many other neighborhood amenities. Many shopping centers all around. Close to LAFB/Sea world. Home is loaded with upgrades:Additional 4 insulation in attic,Water Softener, Large back patio (concrete),Fans in all rooms,Solar Screens for backyard windows, Cabinet Handles, Above/Below Cabinet lighting, LED light"
"Nice 2 story home in Laurel Mountain Ranch, ready to move in, 3 bedroom 2.5 bath, large game room, Master suite upstairs with large walkin closet, garden tub, separate shower & dbl vanity. Neighborhood amenities include pool, park and dog park. Easy access to Lackland AFB, 1604 and Hwy 90. Minutes from Sea World. Alamo Ranch Shopping Center, NW Vista College, The Shops at La Cantera, UTSA, the Rim, Fiesta Texas and 10 minutes from down town. Room sizes are approximate. Please verify schools with"
"Meticulously maintained home ready for move in. 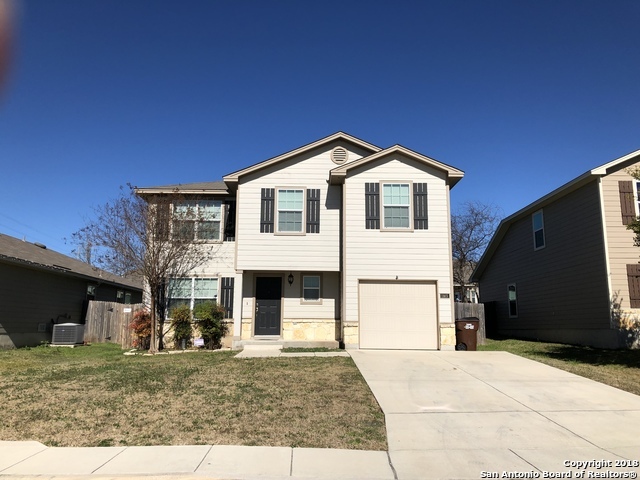 Absolutely no carpet throughout the entire home, granite countertops in the kitchen, oversized backyard, and garage with third storage bay giving the look of a 3 car garage from the exterior. 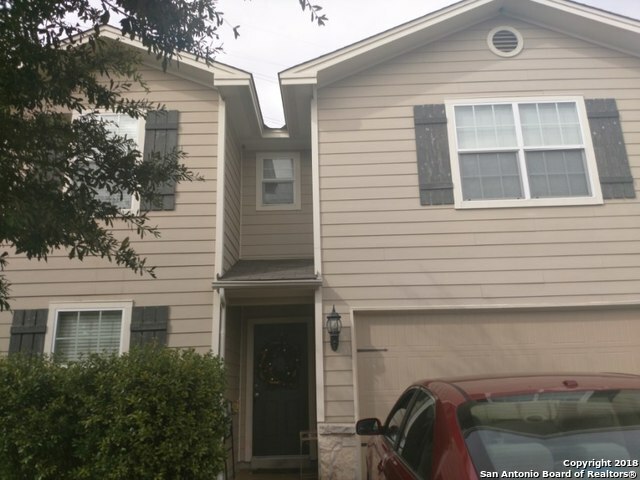 Located in Laurel Mountain Ranch, minutes from dining, entertainment, 151, 1604, and Lackland AFB. Call today for a personal tour, same day showings available. Ask about $0 down financing!" "Charming home with potential, needs work and some TLC. This Short Sale has a nice landscape and stonework facade, will make a lovely family home or a great investment home. Open kitchen and living areas downstairs. Spacious bedrooms, all upstairs with a cozy loft area, great for hobby or study. Faux wood blinds throughout, tiled wet areas. Ceiling Fans in main rooms, nice floorpan. Utility space in kitchen for convenience. Covered patio in a large backyard with privacy fence."